Luton train station is 1/4 mile away. The Galaxy is home to a Cineworld, a Namco entertainment bowling alley and a gym group. Head to The Mall (Central/Market car parks) as parking is only £1/2hrs, £1.80/3hrs, £2.50/4hrs etc and free between 6pm and 8am. There is signposted parking to "Hotel and Galaxy" in the car parks, but all this does is bring you to the set of stairs/lifts on Floor 5 nearer to the entrance/exit of The Mall, which is closest to the Galaxy. Just park anywhere as it'll only be a few extra seconds walk. I think u guys should do delivery then I would probably order everything cause I love nandos. Staff need more table training. On Monday, waiter tried to take my plate away - half full. I was having a break from eating and my cutlery was not in the finished position. Told him to go away until I had finished. 2 other occupants were still eating anyway and NO table should be cleared until everyone has finished eating. It is not the done thing. Also on another occasion a member of staff was cleaning the table next to ours and the spray from the cleaning bottle went all over my plate. 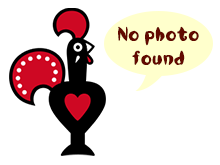 Me and my wife have attended the Luton Nandos on numerous occasions and we can satisfactorily say that everything about this nandos is splendid, especially the staff including KK, Tyrone and Celica and the rest of the extremely hard working staff. Thank you kindly to all the above and nandos for employing these wonderful personalities. Finished 2015 on my 150th Nando's with Luton, my 49th new Nando's of the year and I was very pleased with the visit. About an hour drive from Hounslow, the only delay was finding a space to park in the car park on Library Road opposite the Galaxy Complex. As well as a Subway, there is a Wetherspoons, Cineworld, bowling and arcades. There was a funfair with rides in the square by th complex also but it was too cold for that. My third and final Nandos visit of the day took me to Luton which is on my way home to Bedford. Despite Luton's proximity to where I live I don't often visit the town and had never been to Luton Nandos before. Nando’s 75 took us to the town of Luton. About a 5 minute walk from the station is The Galaxy Centre. Situated near quite a few relatively cheap car parks, this building contains a cinema, a gym and the Nando’s. The centre was probably considered to be a more central location ten years ago when the Nando’s opened, but with the more recent renovation of the main shopping area (also about 5 minutes away), it leaves the area around the Nando’s/Galaxy feeling pretty desolate. A Sunday lunch visit for the team's first Nando's of 2014 together went rather well with some particularly fiery chicken being a highlight. Parking in the nearby car park was £1 an hour and we were seated within a couple of minutes at a table by the counter. This restaurant has very high ceilings and is in the old style but in no way does it need a refurbishment in my opinion. We parked in the closest car park to the store which was on Library road and is behind a barrier with a chipcoin system. Its a pound an hour and annoyingly we went just over the hour by 5 minutes which we blame on the delay in service. This Nando's is in the Galaxy centre in Luton town centre meaning it's easily accessible as the train station is 1/4 mile away and there is also plenty of parking. Head to The Mall (Central/Market car parks) as parking is only £1/2hrs, £1.80/3hrs, £2.50/4hrs etc and free between 6pm and 8am. I am a regular visitor at the nandos in Luton and have done so for many years.. One thing I always find is that the glasses and cutlery are always dirty. The glasses for the bottumless drinks are always full of scratches and marks.The cutlry is stanied with food or not cleaned properly. I always end up have to sift through to find clean forks,knifes and glasses. I had to wait for ages for my Nando's, both for a table and then for my food: but this was understandable, Luton town centre is always chocka on a Friday evening, and Nando's is no exception - the queue was out the door. It was quite dark but this didn't cause any problems. I ordered a starter of pitta and red pepper, which arrived fairly quickly, and excellent. After waiting for a while, my main course arrived which was butterfly chicken with chips and garlic bread. It was a good experience as the service and food was good, however the tables are not stable when you eat on them. There are no student discounts however they have loyalty cards which are a bonus. Nando's is located in a good place, right next to the arndale, library and placed inside the galaxy with a cinema right up-stairs.